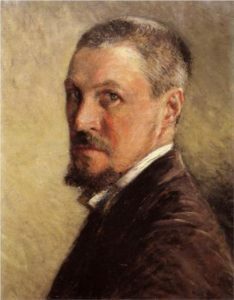 Gustave Caillebotte born on 19 August 1848 and died on 21 February 1894. He is a notable French Painter. He is also called as Impressionists. His paintings adopted realistic manner. His early interest was in photography that will be in the art form. He belonged to an upper-class Parisian family. Martial Caillebotte was his father and he was the inheritor military textile business. His father was the judge at Tribunal de Commerce, Seine Department. The family was quite rich. 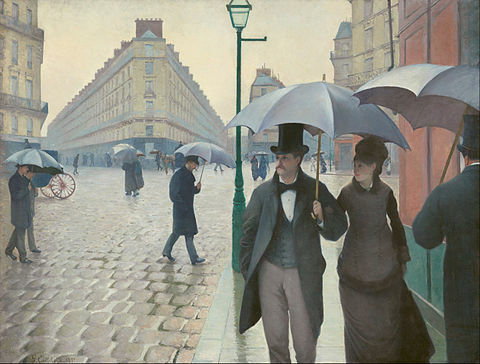 Gustave Caillebotte got the law degree in the year 1868. In 1872, he got the license to start the practice. In fact, this French painter was as an engineer. Soon after the education, he fought to the Franco-Prussian War. During the war, he served from 1870 to 1871. He served at the Garde Nationale Mobile de la Seine. As the war finished, he visited Leon Bonnat and from him, he studied painting. In a very short time, he developed his own accomplished style. After that, he has his first studio at the house of his parents. He joined École des Beaux-Arts on 1873 but did not spend much time here. In 1874, he attended the I Impressionist Exhibition but he did not participate in it. However, he displayed his skills in paintings in 1876 at the second Impressionist exhibition. He showcased 8 paintings such as Les raboteurs de parquet. 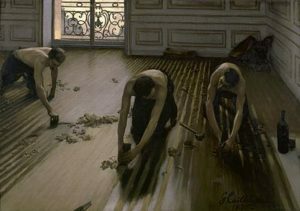 The subject included in the painting was laborers who were preparing a wooden floor. However, this was rejected at the Salon, a prestigious art exhibition in 1875. The jury was shocked to see the working class not fully clothed and in the trade. They considered this one as the vulgar subject matter. It is an oil painting. The painting displays the people walking through the Carrefour de Moscou. It is an intersection point at the east of Gare Saint Lazare. In 1877, it was displayed at the Third Impressionist Exhibition. Recently, it is under the possession of the Art Institute of Chicago. The tone of the painting was set in the wintery afternoon. 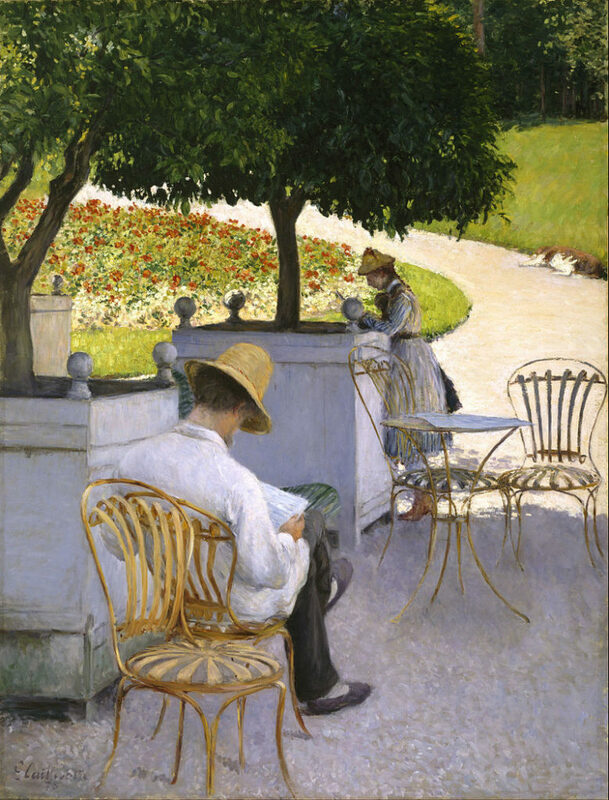 Gustave Caillebotte, a French Impressionist completed this oil painting in 1876. This painting is in the possession of Musée du Petit Palais [fr] in Geneva. The painting is showing the pedestrians in Place de l’Europe [fr] at the 8th arrondissement of Paris. There is a large bridge which joins 6 avenues and each one named for the European Capital. 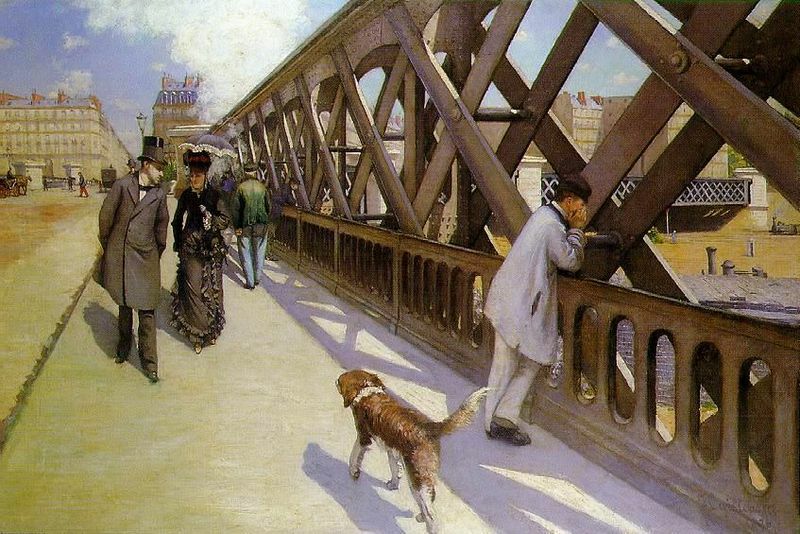 The painting displays the 3 individuals in the foreground, a working-class man that is peering off the bridge and the couple that is walking towards the observer. Man of this couple belongs to the upper-class street observer and a Flâneur. This oil on canvas painting was completed in 1875. 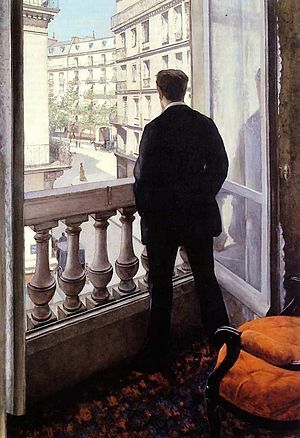 In this painting, René Caillebotte, his own brother was shown in which he was wearing informal clothes and is standing at the balcony. This is a scene from his home only in Miromesnil in Paris. He was looking outside at Boulevard de Malesherbes. His paintings focused on interiors, familiar scenes and portraits. In this one, he depicted Martial Jr along with his cousin Zoe. This displays the garden at Yerres which was his family property. You will also find the scenes of reading, sewing, card playing, piano playing and dining. In fact, most of his country scenes paintings Yerres were focused on the boating at the stream, swimming, fishing and domestic scenes revolving around the country home. As he was rich, he used his wealth for various hobbies like yacht building, textile design, orchid growing and stamp collecting.